Barn Cottage offers guests luxury accommodation with an unrivalled location, set in the famous Upper High Street of Broadway, now a quiet 'cul–de–sac' with no through traffic since the new by–pass was completed. Barn Cottage offers guests luxury accommodation with	an unrivalled location, set in a private courtyard in the famous Upper High	Street of Broadway, now a quiet 'cul-de-sac' with no through traffic since	the new by-pass was completed. 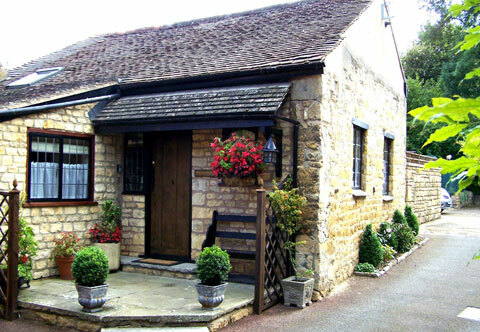 Barn Cottage is a single storey period cottage once	part of a 'Coaching Inn' dating back some three hundred years. Many of the	original features remain but we have refurbished the Cottage to a very high standard with new kitchen, bathroom and full gas central heating. There are	fitted carpets throughout with quality furnishings and antiques. Barn Cottage benefits from having its own private secluded walled garden, accessed from patio doors, and has its own private car	parking.